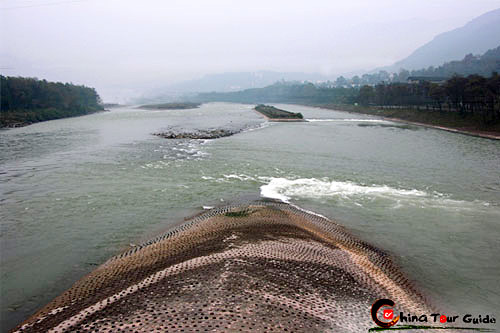 The Chengdu Research Base of Giant Panda Breeding is located in the northern suburb of Chengdu on Futou Hill, 10 km (6 miles) from downtown. 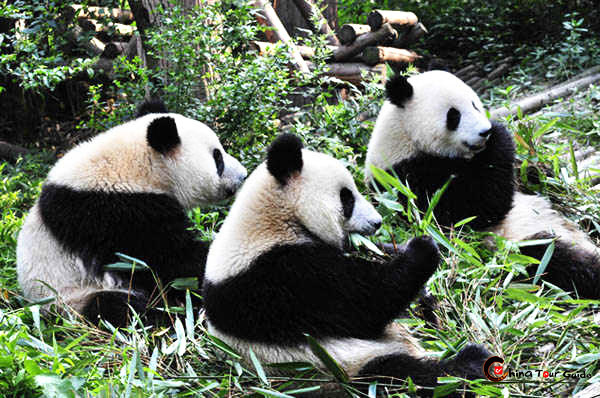 Eighty five percent of the world's wild panda population resides in Sichuan. 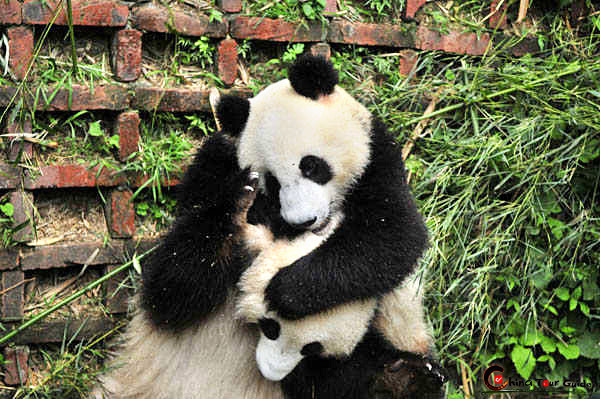 As the guardians of this cherished gift from nature, Chengdu has devoted great resources towards learning about pandas and helping to preserve them in the wild. 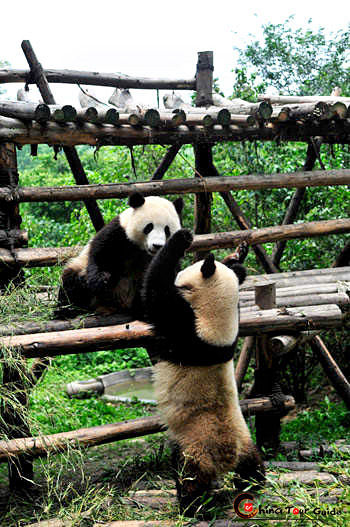 Local Chinese and foreigners alike both enjoy the beauty of the giant panda. 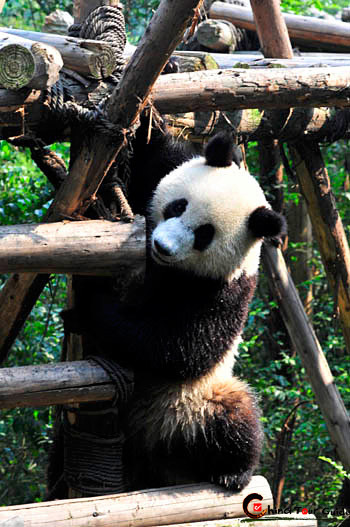 Giant pandas are slowly fading from the wild due to habitat loss and poaching. 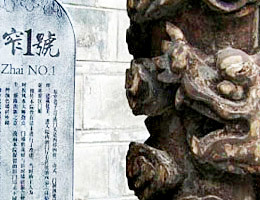 It is this worldwide concern that has led to the establishment of the Chengdu Research Base. A number of pandas live there in large naturalistic habitats, helping visitors to understand how these animals live in the wild. With their future uncertain, the research base is a great place to find out what's being done to protect the pandas, and to learn what the average person can do to help. Pandas are eating their bamboo shoots. What lovely and impish pandas. 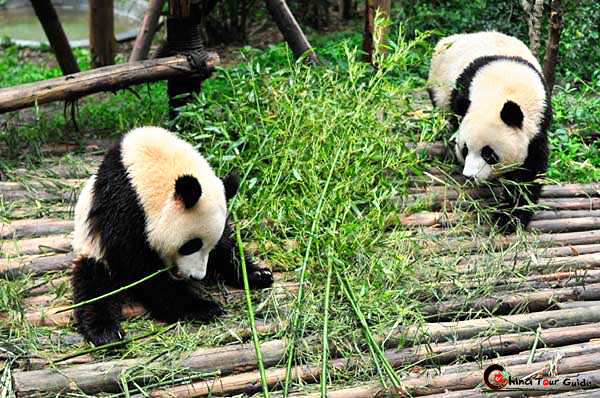 The Chengdu Panda Base was founded in 1987. 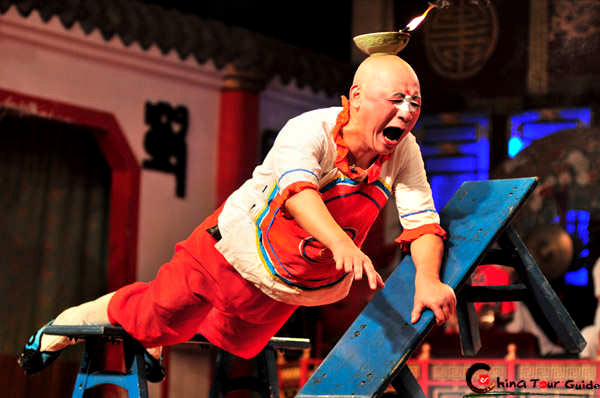 It started with 6 giant pandas that were rescued from the wild. Through 2007, it has had 110 panda births, and its panda population has grown to 62. It is a huge, beautifully landscaped park. Although bamboo is growing everywhere around the base, none of it is fed to the pandas. The pandas' bamboo all comes from the mountains. Special misting sheds keep bamboo fresh even in Chengdu's heat. The human-made structures have been designed to blend well with the natural scenery. The giant panda program is not the only successful one there. Red pandas and black-necked cranes also are being studied and have had successful reproduction programs at the base. The base's current goal is to increase the captive population of giant pandas while the ultimate goal is to begin successfully reintroducing giant pandas to the wild. It is hoped that the efforts of the researchers and scientists there will help ensure the survival of giant pandas and increase the chances for them to coexist with humankind.